Director's Cuts: Fresh Stuff Weekend Edition Sunday music director Ned Wharton reviews the latest new releases on CD, including Gonzalo Rubalcaba, a Parasol Records sampler and Slang. Keep tabs on what's new and noteworthy in the music world with NPR's Ned Wharton. Weekend Edition Sunday music director Ned Wharton reviews the latest new releases on CD, including Gonzalo Rubalcaba, a Parasol Records sampler and Slang. 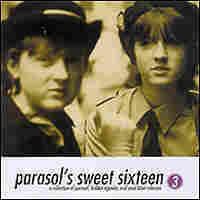 Parasol's Sweet Sixteen Volume 3: A Collection of Parasol, Hidden Agenda, and Mud Label Releases is a solid collection of indie bands. 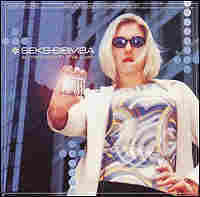 The cd's available from the Parasol Records website. After a long hiatus resulting from record label woes, studio snafus, etc., Dominique Durand, Andy Chase and Adam Schlesinger's group Ivy are back in business. 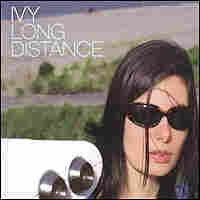 Long Distance is available on Nettwerk Records. The fan website is The Ivy Vine. This Boston-based band covers the waterfront of surf, spy, lounge, 60's retro, all presented with a tight and energetic sound. 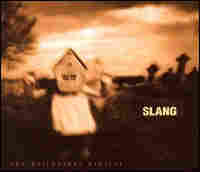 Somewhere In This Town is their cd on Ya Ya Records. Duo of Dave Schools and Layng Martine III have created an interesting collage of roots-rock sounds over a rich soundscape in The Bellwether Project on Terminus Records. Of all the spinoffs from the wildly popular Buena Vista Social Club documentary, this is one of the freshest: bass player Orlando Cachaito Lopez plays with top-notch musicians from Cuba and beyond. 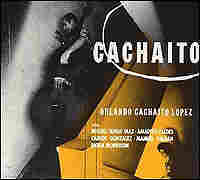 Cachaito is the World Circuit/Nonesuch label. 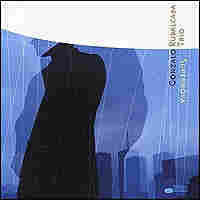 Supernova is the 7th cd on Blue Note Records by this fiery Cuban pianist and bandleader.